The DeKalb Community Service Board offers a wide range of classes and events to improve staff development and training. 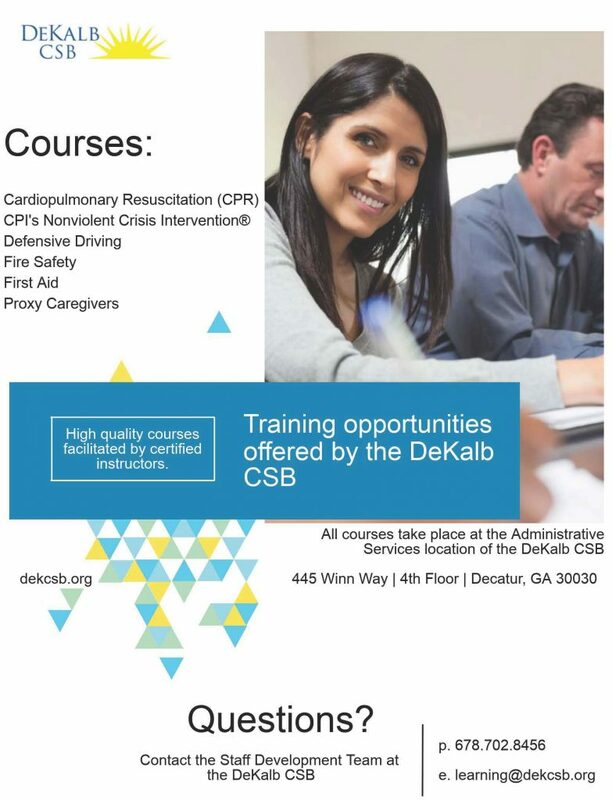 Education and training classes are not only offered to DeKalb CSB employees, but to non-employees as well. At DeKalb Community Service Board, we are dedicated to the health and wellness of our communities.